April « 2019 « Blog Marcos L. Mucheroni Philosophy, Noosphere and Ciberculture. 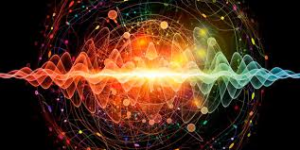 The work was announced on February 11, 2016, confirming the theory of gravitational waves predicted by Einstein’s theory of relativity, where the LIGO Laboratory (laboratory of Gravitational wave Laser interferometer) along with the project Virgo, from the town of Cascina in Italy. “We observe the first event in absolute which a collision does not produce observable data, except through gravitational waves. It lasted a fraction of a second, but the energy emerged was enormous, equivalent to three solar masses”, Ricci added. The two holes formed a “couple”, that is, a binary system in which one orbited around the other, and they “had a mass of 29 to 36 times higher than the sun and approached an impressive speed near the light”. “The closer they approached, the wider and more frequent the signal was, as an acute hum” said the scientist. 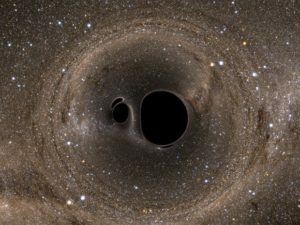 The work was published in the journal Physical Review Letters and was as impressive as the black hole recently photographed, with the difference that in the case of the black hole, in fact is a mass of dark matter, as we explained in another post. But the phenomena are related because the origin of the phenomenon is in the collision of two holes (dark matter), which occurred a billion years ago, which made it present and doubly important the discovery, to explain gravity and black holes. The great upheaval of science at the beginning of the last century was the loss of the conviction of scientific determinism along with the idea that the observer is neutral to the phenomenon. The so-called scientific neutrality, was based on the thought that independent of the observer a repeated phenomenon always produced the same results, the indeterminism announced by Heisenberg, changed the vision that we had of the atomic phenomena. Newton’s physics, on which deterministic science is based, was good to see science roughly, but in the field of particles this regularity and determination does not exist. Granularity means that there are finite packets of energy, which for quantum physics were the “quanta” (the theory of relativity is a little different), and this gave rise to studies of the so-called Physics of Particles, which as a complete theory is relationship between phenomena gives rise to events, and is as important as things (the principle of granularity remains), and this explains even more profoundly, and strange to empiricism, the way a body moves, and the effects of gravity, light and energy can also be thought of as relation. So for example for the existence of the attraction between celestial bodies exists besides a gravitational energy, also gravitons, that is, particles, but this we return tomorrow. What is essential is that these three principles, besides changing our view of science, begin to change what we think about the human brain, and may change the concept of consciousness, but without exoteric haste that wants to affirm things that are not true. Words strange and of high significance for the philosophy of Husserl, apoditic we use much in the day-to-day only that of improper way, something that we think evident and it is not God, the life, the death, finally a series of concepts that seem to be evident and are not, as you see them, hylé appears. Subjective matter, the sense given by the Greeks to what seems material, to Husserl possesses a veiled truth, this composes a subjective matter attached to any perception, or what he defined as “returning the thing itself”, in the sense of having a intention about it. Thus Husserl calls “the intention” the meaningful content of something, the intention of a book on it, though the intention does not have the flesh-and-blood presence of the book. Although for Husserl words are used interchangeably, intuition is the fulfillment of an intention, or consciousness of it, this is important for its thought, since the perfect filling between intention and intuition will never be fully satisfied. In this, it immerses itself in the concept of consciousness, that is, the “consciousness of something”, to make explicit its method, which consists in traversing the phenomenon, using phenomenological reduction, or epoché, which for Greeks is the suspension of judgment. empirical evidence), and for Husserl it is a place between parentheses. By separating subjects (or what is subjective) from objects, Kant’s and Hegelian idealism creates a transcendence of their own to interconnect them and thus separates it from the ontological, from the being. The way of the Enlightenment was settled, but there was a necessary complement for the discourse not to become very “religious”, Locke describes the human mind as a tabula rasa (A blank picture), where, through experience, the ideas, thus completing this. 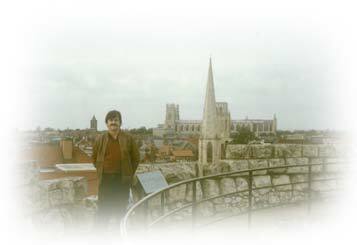 The knowledge of physics, especially of astronomy, the use of mathematics helped to construct a “logical” world, but based solely on it, there were no longer the ontological, that is, proper to the being. Subjectivity will appear in another way, George Berkeley’s radical empiricism, for example, only creates a current of subjective idealism, although it is distant in time, much of what is called “practice” today is this kind of subjectivity, still separate from the object. 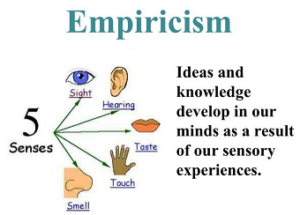 What was for the empiricists a phenomenon, for Hume for example, was the simple reason that one phenomenon is always followed by another, causes them to relate to each other by a formula known as cause-effect, which generated in the days of today the empiro-criticism, a way to construct narratives from disconnected facts, or not always with the vision of the set of facts and then to understand the cause in fact. Phenomenology more recently takes a different stance, the problem of “apparition” or “meeting things in themselves” (Husserl, 2008, p.17) and which will create an important contemporary current in opposition to positivism and neopositivism . Thus, rather than restricting experimental analysis, phenomenology opens up to regions veiled by this method, seeking a comprehensive and non-explanatory analysis of phenomena. Husserl’s phenomenology proposes a comprehensive analysis of consciousness, since all the experiences (Erlebnis) of the world occur in and by consciousness. This is where the celebrated Husserlian definition of consciousness arises: “all consciousness is consciousness of something,” and this definition of consciousness is linked to the notion of intentionality which Husserl inherited from Franz Brentano but modified it. Finally there are realities both physical and existence beyond our senses. 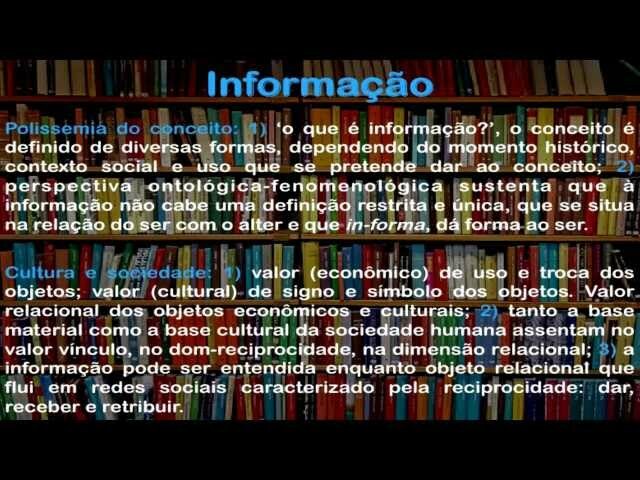 HUSSERL, E. The crisis of European humanity and philosophy (in portuguese). Porto Alegre; EDIPUCRS, 2008. It is certain that we live a dark time, not from the digital transformations that in their essence are not evil because they expanded the worldview by telecommunications and electronic networks, expanded the participation by MEDIAS of social networks, and made more Visible the great atrocities that have been practiced ever since: oppression, inequality and various types of social intolerances. Only one passage is possible (a great Passover of death and resurrection), if we understand what must die and need to resurrect it. 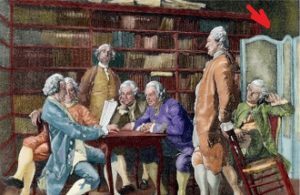 The ideological construction that we conventionally call enlightenment has three pillars: the Kantian idealism sublimated by Hegel and used by many including Marx, the Enlightenment and the empiricist thought, who believed that true knowledge is in Senses, reason and science came from these pillars. The Industrial revolution represented the departure of the rural worker who fought in communal regime for the city where it sells its workforce, at the beginning without rules and contracts of employment, then the Social contract of the state (read: Hobbes, Locke and Rousseau) leaves the Famous 3 powers and goes to the working class, with concessions but insufficient. Thus the religious thought was progressively abandoned, what Max Weber called “Disenchantment of the world”, but it is necessary to understand that the part that idealism calls subjective (relative to the subject) is his own and with Heidegger there is a twist Ontological. Also the Enlightenment thought was already in crisis with Husserl, since the logicism had already been questioned by the Vienna Circle, but still without disattaching it. 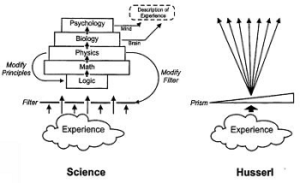 The Husserl development elaborates the concept of world-of-life (Lebenswelt), but another central aspect little cited is that Husserl takes the problem of historicity of philosophy, undertaking profound teleological-historical analyses, pointing philosophy As able to review the essential aspects of modern science. Ernest Cassirer (1874-1945) wrote The philosophy of the Enlightenment, and held a significant debate on the issue of Liberty and Kantian reason with Heidegger that reveals these issues, the central point of this debate is the questions of the exact and moral sciences of enlightenment. In this plan philosophical thought may be able to rethink the Enlightenment model, and certainly no solution will be more national, cultural or religiously isolated, global problems need and can only be solved the light of global governance. It takes a new thought, a new man who embrace the world and of course a new world culture that allows for social balance, with nature and with cultures. 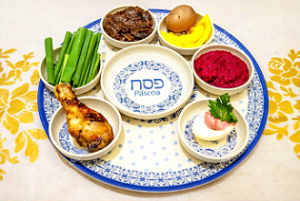 Easter is of Jewish origin, Passover (from Hebrew פסח – picture – meaning to go over or overlook) recalls the passage of slavery in Egypt around the year 1446 BC, and in the Jewish case is to remind the new generations the suffering in Egypt. Jesus is going to celebrate Easter with his disciples, but it was common for the emperor to release some of the rebels at this time, and Jesus is arrested and tried in public, although the governor of Palestine Pilate lays hands, Barabbas is released and Jesus goes to live condemnation, torture and cruxification until death, but his body disappears, and for Christians he has risen, several later events will confirm this. The Jews sacrifice a lamb and must be eaten after the supper full of symbolism (in picture), among them the cup of Elijah that remains untouchable, but Jesus at the last supper before being delivered will use it and pass it to the disciples at supper with their friends there is only bread, and Jesus asks that this be done in his memory, after washing the feet of his friends. There begins his sacrifice like lamb, in substitution to the Jewish lamb, he becomes humble servant and begins its way to calvary when one of the disciples leaves to deliver it. Foot-washing, as it is called the event of washing the feet for supper, something generally done by the slaves, but now done by someone who could be deemed important however does exactly the opposite of what human logic indicates, asks the disciples to do this by following their example, humility is a high value that must be recovered mainly by leaders and people holding positions so that humanity can find a new course. Knowledge and pride impede advances, enslave people, and make social relations more tense and violent. The following video, made in animated comics, is very illustrative of Easter. It is a holy week, a fact that goes unnoticed, but it is fundamental in the spirituality that is said to be “Christian” (yes, for the society in crisis, everything is confused: democracy, freedom, moral, ethics and also the principles and values of certain cultures) a detail is the foot-washing ceremony, the master is lowered to a function made by slaves and washes the feet of the disciples. There is no greater contradiction in the contemporary world, for the idea of power, wealth and arrogance without measures make the Other object of manipulation, desire and submission, and almost no circle escapes, from the power of the state to the periphery of cities, through schools, churches and various types of associations. Behind this idea is to always see the Other as smaller, less prepared or less capable, the networks have reversed this and disorganized a vertical power structure, clear with exaggerations, but the central, often even established and democratic power too, see the censures of the ministers of the Brazilian STF (Tribunal Superior Judge), who were supposed to defend the constitution. Yes the networks also exaggerate, but without the exercise they will never learn, is now given a power that only the editorial groups, the centers of power and the wealthy had, manipulate the truth in their favor, and were already fake news, I was going to ask where the truth was then. Feet-washing puts this logic, will power or power Nietszche, something that seems natural, but for sick reasons evolve in times of crisis. To wash the feet of prisoners, as did Pope Francisco in last year, to go to those who will not be able to reciprocate, to open their arms and pockets to those who need it, and in the case of Christian Easter, to give their lives for their friends, love, started with washing the feet. Most people do not recognize the gesture, Peter did not want Jesus to do this, or think it is a false feeling, or that the person himself does not give himself the courage, never that [voluntary and conscious: washing the feet of those who could by some logic being below us. Few do, in a society in crisis is more than a gesture, it is necessary, it is healing. I was preparing to write something about the first volume of Otto Maria Carpeaux on Western literature, curiously I dwell on the passage: “‘lirism’ is the true name for the divine and human order in the world of Sophocles, symptoms of a precarious balance because purely aesthetic “(Carpeaux, 2012, p. 49), which speaks of lyricism in Sophocles, the fire of Notre Dame robs me of lyricism, and certainly not only aesthetic but historical. Certainly there will be some who think that they are stones and museums, the little appreciation for the religious question touches me, but I understand, but no appreciation for history, the first arches that extended the ceiling of the Gothic cathedrals, an engineering work that lasted almost 300 years, that used various styles of architecture that could be reviewed and understood, etc. There is militant ignorance, appeals to practice, objectivism (which robs any lyrical or poetic possibility), what Byung Chull Han calls the culture of the “smooth”, flat, without wrinkles or details, which wants to abolish any environment, enhances or poetic license, the “challenge” culture. I saw the works of Gaudi in Barcelona the contemporary opposite of the culture of the flat, a poetry, lyricism and a mystique made of stone as he intended, the internal lights of the Sagrada Familia are a spectacle to the part, it is not the digital that abolished this, much before modern objectivism. Ignorance beyond questioning any concept, philosophy or theory, in addition to a pseudo appeal to practice, objectivity or any other argument, in fact without good method none of this can be successfully achieved, this ignorance has become militant and I wonder if would not be able to destroy mankind’s patrimony. The Islamic State did this in Palmyra, but do not we do the same in our instrumentalizing, ideologized and militant practice, in fact, there is today a militious ignorance. 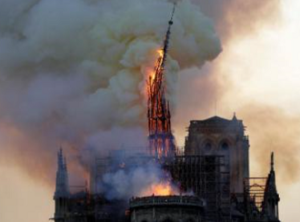 I want to imagine that the fire of Notre Dame was not a criminal, because it does the same thing as terrorism by destroying history, culture and the possibility of future generations understanding the long road that humanity has gone through, it is not possible to have a promising future by ignoring the past, not only the deeds, but also the mistakes and misunderstandings. I accept this momentary death, this is my easter and easter of history, but I believe in future and in the culture. Today the Notre Dame was been on fire in enourmous proportions. The present church was built in the year 1163, when the Romanesque church there was demolished because Bishop Maurice de Sully considered it unworthy of values and the technical innovations allowed new daring forms and arches and ceilings were erected. 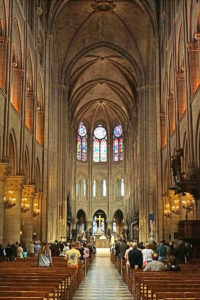 The church of Notre Dame, which stands for Our Lady [and one of the oldest of the Gothic style, and the long process of construction that lasted until the mid-fourteenth century, and the various architects who participated in the construction justifies the stylistic differences present. During the French Revolution several elements of the church were stolen, ending the space itself by serving as a warehouse for food, but Victor Hugo incorporated to it a romantic spirit and inclusion, the novel The Hunchback of Notre Dame in 1831. There are indications that the Celts would have celebrated ceremonies there and later the Romans would have made a temple of devotion to the god Jupiter, and still there would have existed one of the first churches of Christianity in Paris: the Basilica of Saint-Etienne, designed by Quildebert I by around 528 AD. The fire destroys a patrimony of humanity, a historical document and the reconstruction will hardly maintain the original originality, is a great loss for the history. 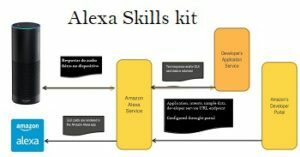 In the midst of allegations of invasion of user privacy, use of data to augment Amazon’s personal assistant: Alexa, the company launches a kit that can further enhance the development of its “intellectual” ability the Alexa Skills kit ( ASK). The claims made by Bloomberg were that employees would be listening to conversations and using private information, the company defended itself by saying that “an extremely small sample” was used and that its employees did not have access to identification. The goal would be to help users “better understand their requests and ensure the service works well for everyone,” the machine learning and deep lerning functions are used. The company of Jeff Bezos began to carry out tests in Portuguese, and already released the kit to reach the market of the 3rd. the most widely spoken language on the Internet, developers will be able to develop the “skills” of the voice assistant and thus expand the ecosystem of the product in Portuguese. The idea is to anticipate the hardware products that will be released to Alexa, incorporating the Internet of Things (IoT) and when they were released already have developments. The Amazon testflight, as it is known, has versions for Apple and iOS, but free software developers non Vasile, there are development alternatives. In addition to releasing the kit, Amazon also stated on its website that enterprises: Bose, LG and Intelbras are development products.